Stay:2018/6/8 fri - 2018/6/17 sun. Hiroaki Umeda is a choreographer, dance and visual artist. In 2002 his work «while going to a condition» was critically acclaimed and invited to Rencontres Choréographiques Internationales in France. Ever since other works of his such as «Accumulated Layout», co-produced with Chaillot National Theatre, and Holistic Strata. 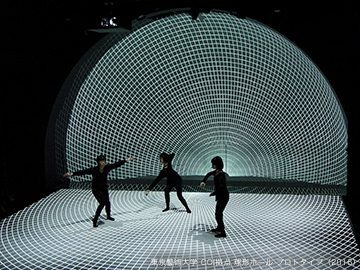 co-produced with YCAM, have been invited by festival and theatres around the world. In 2009, Umeda commenced his ten-year choreographic project ’Superkinesis’ and started working with dancers of distinct physical backgrounds. Commissioned works include «Interfacial Scale» for GötenborgsOperans Danskompani, Sweden and «Peripheral Stream» for L.A Dance Project, US. 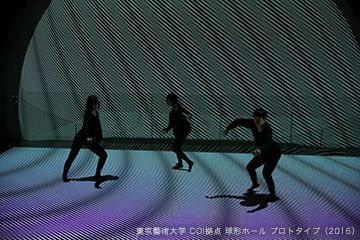 Umeda started Somatic Field Project in 2014, aiming at nurturing young dancers as well as his own movement method ‘Kinetic Force Method’.